Logitech unifying receiver. 2.4GHz wireless technology. Expert Service. Unbeatable Price. Keyboard Type: Keypad. Owner's manual. Security Features: 12 one-touch activity keys, Space-saving design, 2 preinstalled AA batteries, 2.4GHz wireless technology, USB connectivity, PC compatible. Whether you use your computer for work, for email, or for browsing the internet, the Logitech wireless K360 keyboard provides a comfortable mobile solution. It works well in small spaces and works well with optional accessories to make both your work and your browsing experience more relaxing and enjoyable. The Logitech K360 wireless keyboard comes in a conveniently compact package. The exterior has a glossy black finish that is sure to make an elegant addition to your desk. It comes with a tiny USB dongle receiver to communicate with a tablet, laptop, or desktop. The receiver is 2.4 GHz, which makes the wireless connection consistently reliable and also provides a fairly long range for connectivity. The keyboard runs on two AA batteries and measures 15.6 inches long by 6.5 inches wide by 1.8 inches high. This means that it takes up a fraction of the space that traditional full-sized keyboards do. While there is a compartment to place the dongle in while you're not using it, users have no problem leaving it in a laptop due to its tiny size.This single dongle is one of Logitech's unifying devices, allowing you to connect up to six different wireless Logitech accessories or peripherals, such as a mouse. It functions as a unifying receiver that frees up valuable USB ports on your laptop. Just download, save, and install the software, and you're ready to go. Installation of the required driver for this wireless keyboard is a cinch as this Logitech device boasts a plug-and-play design type. 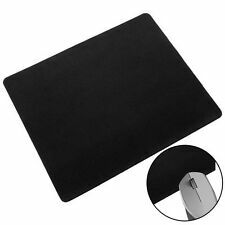 Have your new accessory up and running in a few seconds by connecting the USB dongle to your laptop, and the software and drivers install automatically. The Logitech K360 is compatible with most operating systems such as Microsoft Windows XP, Vista, and Windows 7. For added convenience, this keyboard features standard controls and six hot keys that make navigating your PC a breeze. There are 12 programmable function keys that allow you to create your very own convenient controls for common tasks such as Internet browsing, email, and social networking. The software that automatically downloads with the keyboard allows you to assign keys to the locations that are most important to you. This wireless keyboard uses relatively little power and has a battery life that lasts up to three years, which is extraordinary for wireless accessories. Framed keys mean you enjoy a whisper-quiet typing experience, and the sturdy adjustable tilt lets you position this keyboard as comfortably as possible whether it is on your lap, desk, or table. Additionally, the response time of the keys makes typing positive experience and is quick enough for some gaming. When you're shopping for wireless electronics, it is good to know that the Logitech name is synonymous with quality throughout the world. 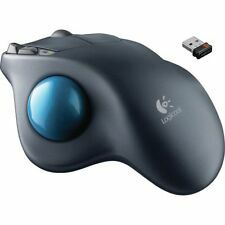 Rest assured that the Logitech K360 combines advanced technology with convenience, style, longevity, and functionality. Use the Logitech K360 920-004088 to simplify all your computing tasks. Nice and compact. I now have a little more room on my desk and was happy to get rid of my older wired keyboard, I'm still getting used to the low keys. One area I feel would be a major improvement is the addition of an indicator light so users would know when caps lock/number lock is on/off. I often have to log into various accounts like I assume most others do and I regularly use the number keypad. I was overall looking for a compact keyboard with a 10 key number pad and wanted it to be wireless and compatible with my logitech unifying receiver so for the most part this keyboard met my expectations. Would have given it five stars if it had the indicator light for the number pad and caps lock. I would be willing to pay more for the same model if it had indicator lights. Pluses: This is a nice small keyboard. Good feel, light weight. Minuses: 1) The Logitech "unifying" receiver is incompatible with the Logitech wireless mouse that I bought a month ago. 2) When both receivers are in the USB ports, my HP mini 311 with Windows 10 cannot wake up from sleep or hibernation. As soon as I remove them, back to normal; then I must reinsert them, and they will work. This keyboard and mouse combo does what it is supposed to do. I didn't see any drivers having to load before I could use it, which is good. It seems to be supported by the BIOS in every computer I have tried it on. I don't particularly like the shiny surface on the keyboard. The keys have a decent feel about them but no click or other tactile feedback. I don't type fast, but if I did, I probably wouldn't like the keyboard. I haven't had them long enough to see how long a battery lasts. Overall, I guess it is a pretty good combo. I really don't have any bad things to say about it. Pros: Compact, but still has the number pad. Long battery life and don't have to worry about light for solar cells. Utilizes Logitech's Unifying software, meaning need only one USB dongle. Inexpensive. Cons: The keys make "clackity sounds", indicating cheapness. Some eliminated keys are now used via function key or toggle.